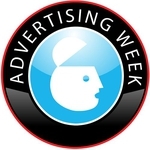 OMMA Response at Advertising Week will focus on the vital role direct response and performance marketing plays in driving the digital and cross-media worlds. Ultimately, the goal of media is to drive sales and understanding the emerging ways of expediting the sales process cannot be underestimated. The strategies and techniques that mash up and blend to make the sale happen are constantly evolving – and segmentation, relationship-building, in-store, lead gen, nurturing, social must be orchestrated to achieve ROI. The keynotes and panelists at OMMA Response are marketers and innovators who have succeeded in bringing the pieces together – and who can tell you what’s next. We will also provide perspective from the investor side: what response service companies are they investing in now? Where will they be putting their money in 2013?